Precious metals producer Sibanye-Stillwater (JSE:SGL) (NYSE:SBGL) confirmed Wednesday it has axed its workforce in South Africa, retrenching or offering voluntary dismissals to 3,375 people at its loss-making Cooke gold mine. The miner, South Africa’s largest gold producer and the world’s third largest producer of palladium and platinum, said other 3,601 contractors had been “displaced” as a result of the closure of its Cooke mine. "Unfortunately it was not possible to define realistic arrangements to operate Cooke 1,2 and 3 on a profitable basis," it said in a statement. The company had warned in August it would “restructure” its Beatrix West and Cooke operations in a move expected to affect around 7,400 of its employees. The miner said 2,025 workers at Cooke were laid off, while 1,350 had elected to take voluntary separation packages. But Sibanye is keeping Beatrix West open, which guarantees employment for approximately 1,640 people. “In the event that Beatrix West becomes loss making, both the underground operation and Beatrix 2 Plant will be put on care and maintenance with immediate effect,” the company warned. The company recently abandoned plans to close some of its platinum mines, as it achieved bigger than expected cost-savings at those operations. The National Union of Mineworkers (NUM) said Tuesday it would hold a rally today to protest the massive job cuts. 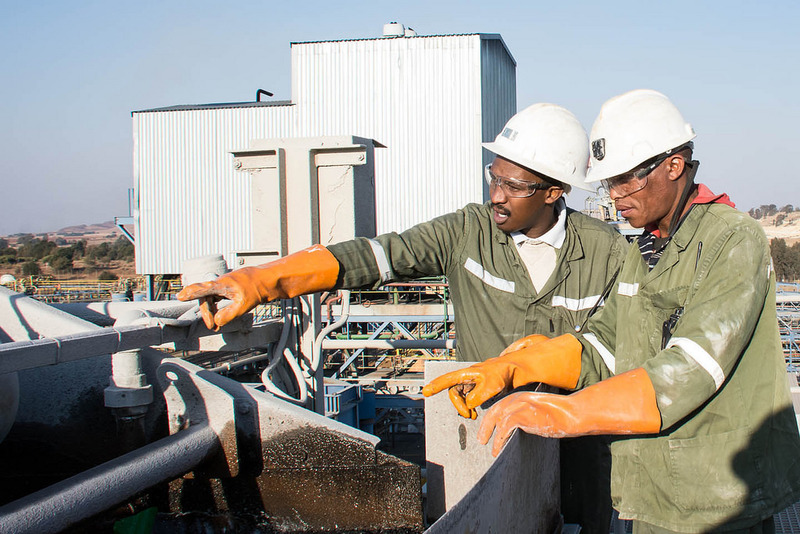 “The decision to restructure was not taken lightly, but it is pleasing to note that (…) we have preserved employment for 3,282 people, while ensuring the sustainability of our remaining operations and thereby securing over 60,000 jobs in South Africa,” chief executive Neal Froneman said in the statement. Lay-offs are a sensitive issue in South Africa where unemployment rate is about 28%. Companies operating in the country must hold consultations with unions and the government before they can lay off a large number of workers. South Africa’s mining industry lost more than 70,000 jobs or nearly 13% its workforce since 2012, due to weak or volatile prices for some of its key commodities such as gold, soaring costs, labour and social unrest, and policy uncertainty.